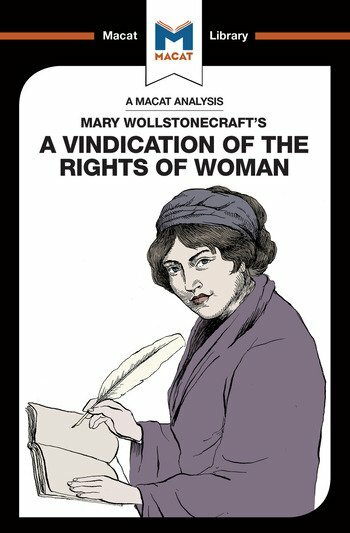 Mary Wollstonecraft’s 1792 Vindication of the Rights of Women is an incendiary attack on the place of women in 18th-century society. Often considered to be the earliest widely-circulated work of feminism, the book is a powerful example of what can be achieved by creative thinkers – people who refuse to be bound by the standard ways of thinking, or to see things through the same lenses that everyone else uses. In the case of the Vindication, Wollstonecraft’s independent thinking went directly against the standard assumptions of the age regarding women. During the seventeenth century and earlier, it was an entirely standard point of view to consider women as, largely speaking, uneducable. They were widely considered to be men’s inferiors, incapable of rational thought. They not only did not need a rational education – it was assumed that they could not benefit from one. Wollstonecraft, in contrast, argued that women’s apparent triviality was a direct consequence of society failing to educate them. If they were not men’s equals, it was the fault of a society that refused to treat them as such. So radical was her message that it would take until the 20th century for her views to become truly accepted. What does A Vindication of the Rights of Women Say? Why does A Vindication of the Rights of Women Matter? Dr Ruth Scobie holds a PhD in English literature from the University of York. She is currently an Early Career Research Fellow at TORCH at the University of Oxford, where she specialises in the eighteenth century and the development of celebrity.